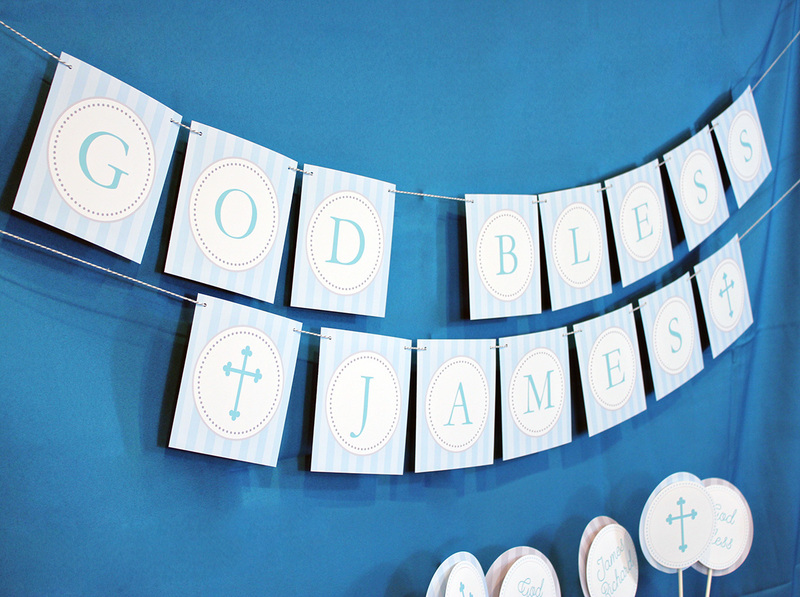 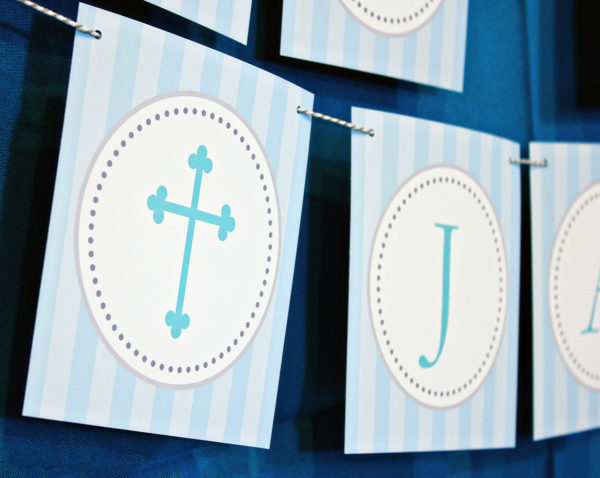 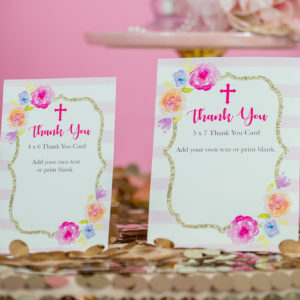 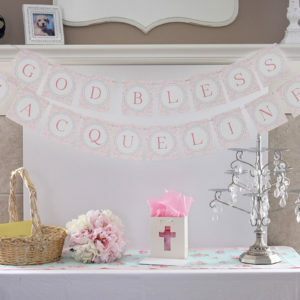 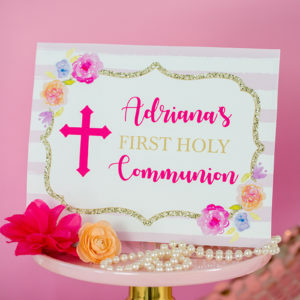 Our beautiful God Bless banner will be the prefect addition to your holy celebration. 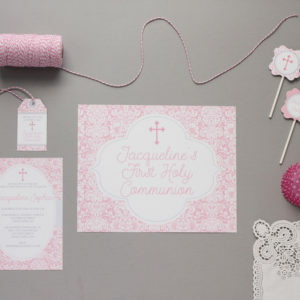 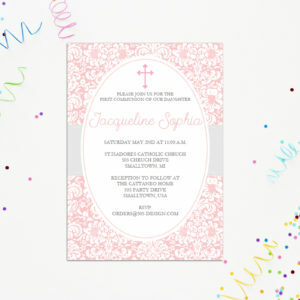 Pink damask design with gray accents. 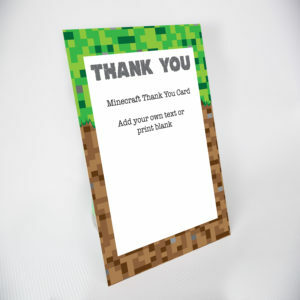 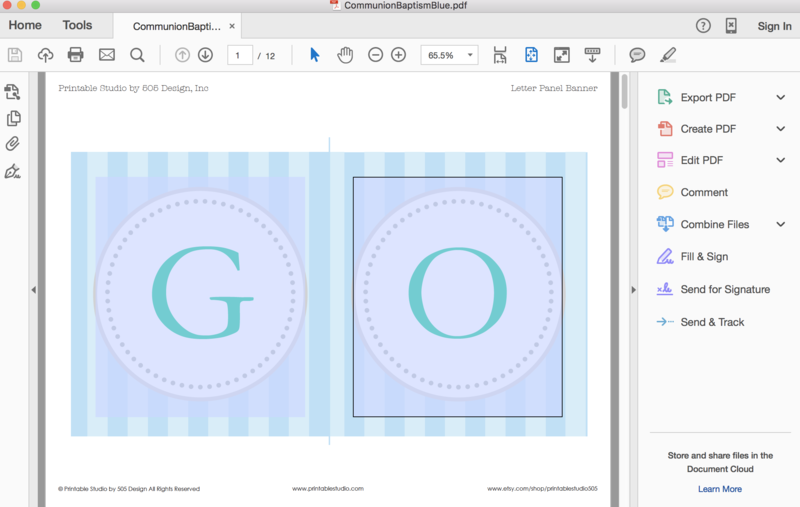 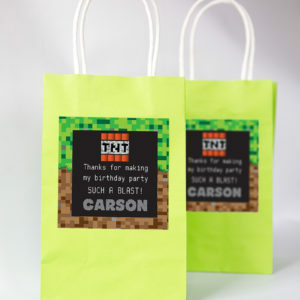 You will be able to add your own custom text up to 20 letters, using Adobe Reader.